Juniors lightweight fleece raglan hoodie. 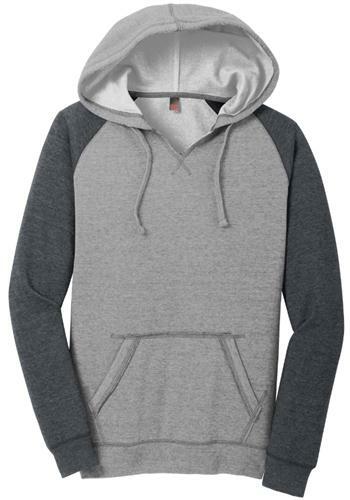 A raw split v-neck makes this heathered hoodie stand out from the rest. -Rib knit cuffs and hem.